In 2006, Pocket Books published a trio of novels in celebration of Star Trek's 40th Anniversary. These books looked back affectionately at the original 1966 television series, but with a fresh twist that turned established stories on their head. Each book of David R. George III's "Crucible" trilogy highlighted a member of the show's trinity (Kirk, Spock, and McCoy), and explored how their pasts and futures hinged on one very pivotal event. The first of these books was Crucible: McCoy - Provenance of Shadows, and it's one of the best Star Trek books I've ever read. The core of David George's trilogy centers around the events of "The City on the Edge of Forever," heralded as one of Trek's best and most thought-provoking episodes. 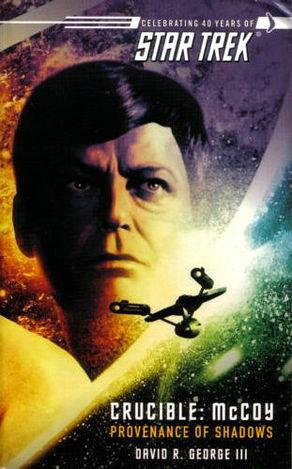 Written by science-fiction royalty Harlan Ellison, the season one story takes place on a different stage and asks some difficult questions, earning a reputation as the one of the show's absolute best. David R. George's trilogy of books posit that this episode was a crucible in the lives of the Captain, the Science Officer, and the Doctor of the U.S.S. Enterprise, and that the decisions made during the story would alter their lives forever. By changing just one event, each of these three men would go on to have very different lives than the ones fans are familiar with from watching the television show and the movies. In Crucible: McCoy - Provenance of Shadows (published in August of 2006), Doctor Leonard McCoy takes center stage. George's first book in the trilogy is also the longest (by far), clocking in at 640 pages, and the author really plumbs the depths of the character we know and love. These books are not written for the casual fan, and I can't imagine that someone who doesn't have at least a passing familiarity with every episode of the 1966-1969 television series would be able to follow along and reap the benefits of the character study that occurs in the pages of this novel. I don't know that this is a criticism, because I love how he deftly weaves in and out of stories I've seen over and over, but it might leave a casual reader feeling exhausted and confused. George spends considerable time playing within the established continuity that we already know, carrying us through early episodes of Star Trek but from the point of view of McCoy himself, allowing us to see how the doctor felt about certain events that he wasn't necessarily at the center of in the television series. George also fills in gaps between episodes, connecting the dots from one story to the next and giving a through-line to events that didn't previously exist. That initial television run of Star Trek was unconcerned with continuity (which didn't really exist in TV at the time), and often had characters behaving radically different from one episode to the next. David R. George's writing actually goes a long way to clear up some of the incongruities and offer consistency. Yes, it's retconning, but it's hard to complain when the retconning is done with so much affection and when it's done so well. George really "gets" these characters, and his take on them feels true. It never reads like fan fiction, and instead feels like this unfolding narrative is being constructed by those in Gene Roddenberry's inner circle who were closest to the show. The book leads us up through the events of "The City on the Edge of Forever" with one change, and that's where the book really comes alive. Like the movie The Butterfly Effect, we see how this one defining moment altered innumerable events afterward. I don't want to spoil the plot of Provenance of Shadows, but I will offer this one key plot detail in hopes that it entices you to read the book yourself: in this story, McCoy is stranded in the 1930s without his friends, far from the world he knows. 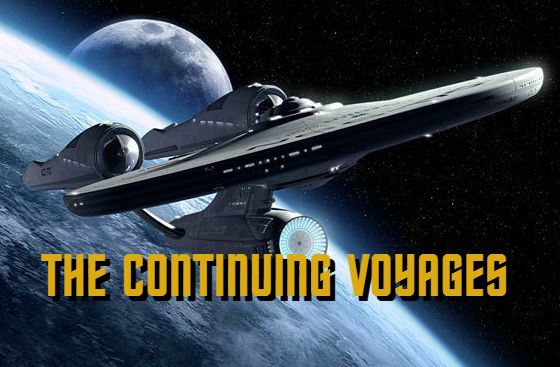 As the days turn into weeks and the weeks turn into years, McCoy must come to terms with the fact that Enterprise is not coming for him, and must therefore move on with his life in a time that is not his own. It's a staggering character study of who Leonard McCoy is and what makes him tick. When you take away Enterprise, take away the five year mission, the futuristic technology, and the very existence of Starfleet, we're left with nothing but the man himself. George spends the bulk of the book exploring Leonard McCoy's character, his hopes and dreams, his mistakes, and how he's learned (or not learned) from those mistakes. Part of the fun here is seeing how things developed differently in a Star Trek where McCoy isn't around. His absence changes things, and one again David George explores the most memorable and beloved stories from Trek's original run, but with a twist. The book even goes so far as to put a definitive, loving coda on the life of Doctor McCoy, allowing us to follow him into an area that the series and films never really ventured, far past the events of Star Trek VI: The Undiscovered Country, and even his appearance in the pilot episode of Star Trek: The Next Generation. Provenance of Shadows is a long, deep read, and it eventually achieves an epic quality because it covers so much ground --literally decades. By the time I finished the novel, I not only felt like I had better insight into a series that I love very much, but I also felt like I understood Leonard McCoy much better than I ever have before. Most of the time, tie-in novels for movies and TV shows are only written to give us a little bit more time with characters we know and love. We think of them as inconsequential because that's their very nature. The world of Star Trek contains hundreds of novels, and very few of them offer anything besides a quick dip into worlds that are already established. David R. George's Crucible trilogy feels different. I don't think Paramount or CBS considers the novels to be cannon, but this has the feel of a cannon book because it fleshes so much out and does so much to connect stray elements of the show into one big adventure. Besides, I've always been a proponent for choosing your own cannon anyway. If you like it, it's your cannon. It's ironic that a story that plays with alternate timelines ends up revealing so much about the timeline we already know. With so much to offer long-time Trek fans, Provenance of Shadows definitely fits into my personal cannon. 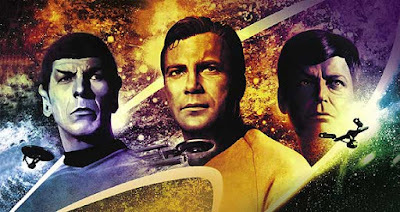 Those who are the deepest into Star Trek--especially The Original Series--will most likely have a blast revisiting old episodes with fresh insight and new connective tissue that ties everything together. I can't praise David R. George III enough for this book and for how faithful his writing is to the original vision. I've read a lot of Star Trek fiction; this is the ultimate "Bones" story, and is required reading for anyone who loves the character. Stay tuned for future columns about the other two books in the trilogy. The next one puts the spotlight on Spock, and proves again that the author is able to provide new insight into characters we know so well.